Singapore, 21 January 2019 – CapitaLand’s wholly owned lodging business unit, The Ascott Limited (Ascott), has secured contracts for another 26 properties with over 4,600 units across 18 cities and 11 countries. The new additions boost its portfolio to over 100,000 units. This marks a second consecutive year of record growth for Ascott with the addition of over 30,000 units across 189 properties in 2018, making it one of the fastest growing global players in the lodging industry. Ascott has entered the Netherlands market with the signing of Citadines Sloterdijk Station Amsterdam, a franchised property in Amsterdam. It has also expanded its presence in China, India, Indonesia, Philippines, Singapore, Thailand, Turkey, Vietnam, United Arab Emirates and the United Kingdom. Ascott’s global footprint now extends to 172 cities across 33 countries. Of the 26 newly secured properties, four Citadines properties – Citadines Ritan Beijing, Citadines Gubei Shanghai, Citadines Pudong International Expo Shanghai and Citadines Xujiahui Shanghai – are secured under Ascott’s strategic alliance with Nasdaq-listed Huazhu Hotels Group (Huazhu), one of China’s leading hotel operators, and Huazhu’s subsidiary CJIA Apartments Group (CJIA). Huazhu has the third largest market share in China’s midscale hotel segment with over 400,000 hotel rooms across more than 4,000 properties. Stepping up on the partnership, Ascott will also manage Huazhu’s first property outside China – Ji Hotel Orchard Singapore, which Huazhu has won under a tender by the Singapore Land Authority. In addition, Ascott has partnered with MCC Real Estate Group Co Ltd, a subsidiary of Chinese state-owned enterprise China Metallurgical Group Corporation (MCC), to manage two Citadines properties in Hangzhou – Citadines West Lake Cuiyuan Hangzhou and Citadines Wulin New Town Hangzhou – and to jointly explore opportunities to further expand in major cities in China. Tapping on its alliance with Vanke, Ascott will also manage two properties in Chengdu – Ascott Tianfu Chengdu and Somerset Gaoxin Chengdu. Through its joint venture with Tujia, China’s largest online apartment sharing platform, Ascott has inked Tujia Somerset Sumyip Taifu Plaza Shenzhen Serviced Residence and Tujia Somerset Honor Mansion Shijiazhuang Serviced Residence, bringing the total to 16 Tujia Somerset serviced residences in China. YELLO Hotels, one of the six lifestyle brands under TAUZIA, caters to aspirational travellers who appreciate hotels with creative designs and technology. The upcoming 100-room YELLO Batu features constructive street art murals by international and local artists on its façade and at the lobby and function areas. To deliver an enhanced digital experience, YELLO Batu helps guests stay connected by offering gadgets to surf the web, check emails and stream entertainment at the Netzone, while its Gaming Station is home to the latest gaming consoles, providing fun for people of all ages. The hotel is close to popular theme parks in the city of Batu, such as Museum Angkut, Jawa Timur Park 1 and Jawa Timur Park 2. In addition to its expansion into Netherlands with the signing of Citadines Sloterdijk Station Amsterdam, Ascott is also making its maiden entry into Goa, India. Goa is a popular international tourist destination as well as a meetings and conventions venue for both corporate and leisure travellers. The new Citadines Calangute Goa and Citadines Candolim Goa will be the first international branded serviced residences in Goa when they open. Citadines City Center Rayong – Ascott’s debut in Rayong, Thailand, will cater to the corporate market in Map Ta Phut, Thailand’s largest industrial estate and the world’s eighth largest petrochemical hub located in the country’s Eastern Economic Corridor. Ascott has further bolstered its position as the largest international serviced residence owner-operator in Vietnam and the Philippines through management contracts for its first premier Ascott-branded serviced residence in Ho Chi Minh City – Ascott Centennial Saigon, and two new Citadines properties in Manila – Citadines Leviste Makati and Citadines Malate Manila. In China, Ascott has also consolidated its presence by clinching contracts to manage three other serviced residences – Citadines Songjiang Shanghai, Somerset Bio-Island Guangzhou and Somerset Yongningmen Xi’an. The company is deepening its presence in United Kingdom with Citadines Wembley London, its seventh property in the country. In the Middle East and Turkey, Ascott has secured contracts for three properties with over 500 units in Dubai, United Arab Emirates and Istanbul, Turkey. Citadines Nivo Istanbul and Citadines Maslak Istanbul are both under management contracts while Citadines Metro Central Dubai is under a franchise agreement. Please refer to the Annex for the new properties added to Ascott’s portfolio. Ji Hotel Orchard Singapore enjoys a strategic location next to Singapore’s shopping belt Orchard Road. Located at 11 Penang Lane, it is a few minutes’ walk from Dhoby Ghaut MRT Interchange and CapitaLand’s popular retail mall Plaza Singapura. The hotel is surrounded by a wide variety of retail, leisure and dining options, commercial towers, Singapore Management University as well as cultural attractions such as Fort Canning Park, National Museum of Singapore, Istana Heritage Gallery and Singapore Art Museum. Spanning a gross floor area of over 32,000 square feet, the hotel will offer 81 rooms and facilities including a café, retail outlets and gymnasium. Citadines Gubei Shanghai has a prime location in the Minhang District. The serviced residence is just 10 minutes from Xujiahui Business Circle and has easy access to shopping malls such as Wanli Pavilion, Metro City, Grand Gateway Plaza, Pacific Ocean and Vientiane City. Citadines Gubei Shanghai is a 30-minute drive from Shanghai Hongqiao International Airport, Hongqiao Railway Station and Shanghai Hongqiao National Convention and Exhibition Centre. The serviced residence plans to have 192 studio and one-bedroom apartments with shared facilities including a breakfast room, gymnasium and guest lounge. Located in the Lujiazui financial district, Citadines Pudong International Expo Shanghai is a 10-minute drive to the Shanghai New International Expo Centre and 20 minutes to some of the most well-known tourist and leisure attractions such as the Bund, Expo Park and shopping district, Nanjing Road. The serviced residence is also close to one of China’s longest bridges, Huangpu Bridge. Citadines Pudong International Expo Shanghai is a 35-minute drive to Shanghai Pudong International Airport and Shanghai Disneyland. It will offer corporate and leisure travellers 168 serviced apartments comprising both studios and one-bedroom apartments as well as facilities such as a breakfast lounge, gymnasium and business club that offers meeting rooms and food and beverage catering services. Citadines Ritan Beijing is situated in the heart of the embassy district, adjacent to Ritan Park and close to the central business district of Guomao, shopping centres and office buildings along Guanghua Road, Guomao, Sanlitun, Dongzhimen, Dongdan and Wangfujing. Citadines Ritan Beijing enjoys easy access to the city’s myriad attractions and landmarks as the serviced residence is close to Chaoyangmen Station and Line 6 East Bridge Station. The property is a 15-minute drive to Beijing Railway Station and 40 minutes to Beijing West Railway Station. 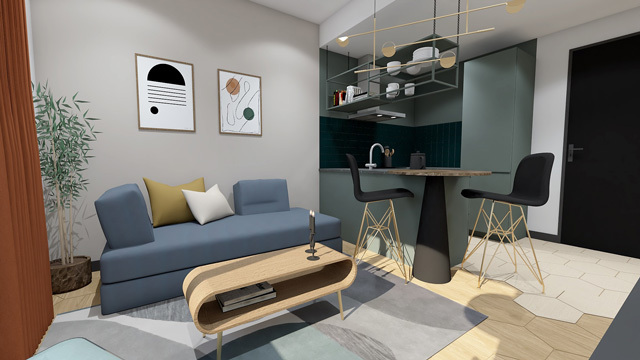 The Citadines property will offer 307 studio and one-bedroom apartments, with facilities including a breakfast lounge, gymnasium and business centre. Citadines Xujiahui Shanghai is located in the bustling business district of Xujiahui, surrounded by high-end residential developments. The serviced residence will offer 152 studio, one-bedroom and two-bedroom apartments, with facilities including a breakfast room, gymnasium and business centre. Citadines Xujiahui Shanghai is close to famous landmarks such as the Shanghai Swimming Centre Station, Shanghai Stadium, Longhua Tourist Area and Longhua Temple. Citadines Xujiahui Shanghai is a 10-minute drive to Shanghai South Railway Station and 30 minutes to Shanghai Hongqiao International Airport. 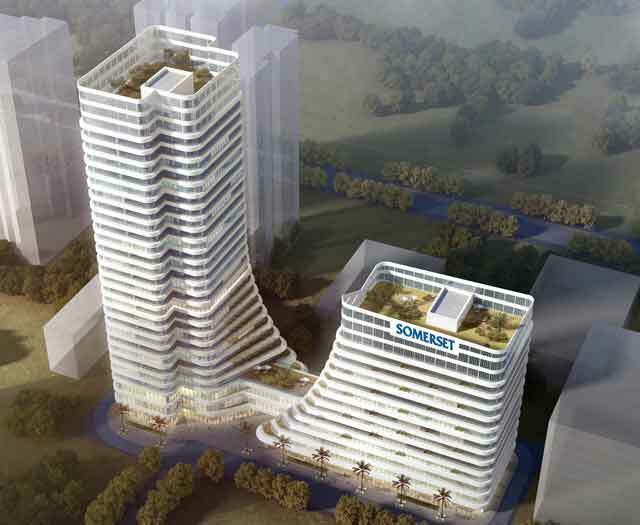 Located on Guangzhou International Bio Island, Somerset Bio-Island Guangzhou is part of an integrated project that also comprises office and retail components. The property is at the doorstep of Guangzhou Station’s Metro Line 4, with Grade A offices and reputable educational institutions in the vicinity. The property enjoys good accessibility to major commercial hubs of Guangzhou International Bio-Island, Pazhou Central Business District and Zhujiang New Town Central Business District. Guests can also explore nearby leisure attractions such as Lingnan Impression Park, Haizhu Wetland Park and Whampoa Military Academy Memorial. The Somerset serviced residence has 307 studio, one-bedroom and two-bedroom apartments as well as penthouse suites. Facilities such as a breakfast lounge, swimming pool, gymnasium and meeting rooms will be available. Located in the bustling business district of Xihu district, Citadines West Lake Cuiyuan Hangzhou is a five-minute walk from Xueyuan Road Subway Station and a 10-minute drive from the famous West Lake. The property is surrounded by colleges, universities, educational institutions as well as dining and shopping options. It is part of the Zhongye Cuiyuan Complex, which is currently under development and will also comprise residential and commercial components. 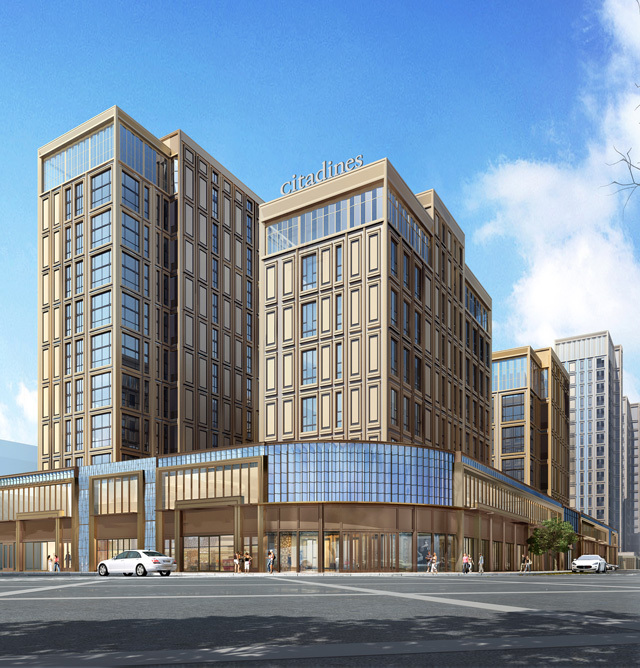 The Citadines serviced residence is a 30-minute drive from Hangzhou Railway Station and an hour’s drive from Hangzhou Xiaoshan International Airport. The Citadines property will offer 90 units, ranging from studio, one-bedroom to two-bedroom apartments. The property is equipped with facilities such as a breakfast room, residents’ lounge and gymnasium. 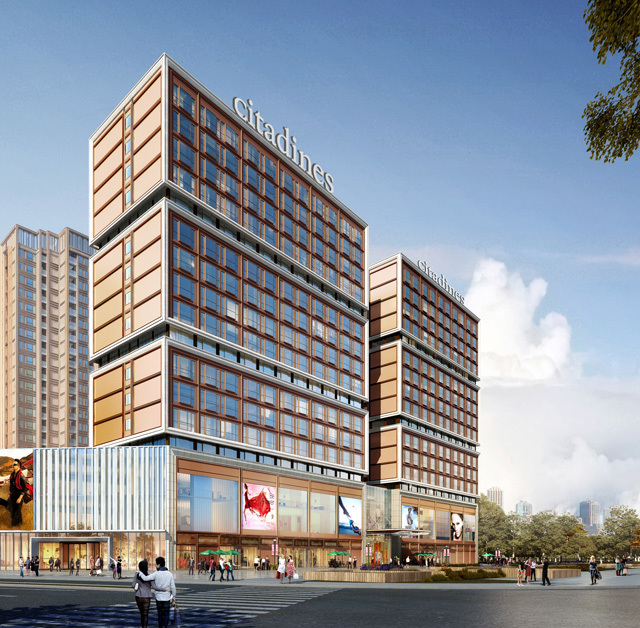 Citadines Wulin New Town Hangzhou is part of an integrated development located by the Shangtang River, and is close to retail and commercial hubs. The area has been earmarked for development into a city boasting high ecological value, quality of life and economic growth. The location is steeped in culture and history with the famous Shangtang River town nearby. The serviced residence is a 45-minute drive from Xiaoshan International Airport, a 35-minute drive from Hangzhou Railway Station and a 40-minute drive from the scenic West Lake. Offering 308 studio, one-bedroom and two-bedroom apartments, the property is equipped with facilities such as a breakfast room, residents’ lounge and gymnasium. Located in the heart of Sungang, a new central business district, Tujia Somerset Sumyip Taifu Plaza Shenzhen Serviced Residence is part of an integrated development Taifu Plaza, which also has office and shopping mall components. Guests can easily access Honghu Park, Shenzhen Lychee Park and Shenzhen Sports Center via public transportation with the Hongling North Station nearby. The serviced residence offers 275 one- and two-bedroom apartments, and has facilities including a fitness centre and guest lounge. Ascott Tianfu Chengdu is located in Tianfu New District, a national development zone for science and technology innovation and industrialisation. The area has attracted many Fortune 500 companies and well-known domestic and foreign enterprises including China Construction Group Co., Ltd. and China Railway Corporation. The serviced residence is a five-minute walk from Tianfu Park Station along Metro Line 1, and half an hour by car to the upcoming Chengdu Tianfu International Airport. The property is just across the street from Tianfu Park, Qinhuang Lake, Western International Convention and Exhibition Center and China Western International Expo City. Ascott Tianfu Chengdu has 112 one-bedroom to three-bedroom apartments, with facilities including a guest lounge, gymnasium, swimming pool and multi-purpose hall. Somerset Gaoxin Chengdu is located in Chengdu High-Tech Industrial Development Zone as part of a mixed development along the first street of Tianfu. The 210-unit serviced residence has studio, one-, two- and three-bedroom apartments, as well as facilities including swimming pool, gymnasium, guest lounge and children's playroom. Somerset Gaoxin Chengdu is a 10-minute walk from Century City Station, 10 minutes by subway to Chengdu South Railway Station, and 30 minutes by car to Chengdu Shuangliu International Airport. It is also within walking distance to Chengdu Century City New International Convention and Exhibition Centre, New Century Global Center and Guixi Ecological Park. Tujia Somerset Honor Mansion Shijiazhuang Serviced Residence is in the Yuhua district of Shijiazhuang, with easy access to the Nanwang Station Metro Line 3 and Line 4 Interchange Station. It is a 10-minute drive to the Sky Gardens, Wante and Wanda business districts, and 20 minutes to the Shijiazhuang High-Tech Industry Development Zone. The property is near Hebei Normal University and Hebei University of Science and Technology. It is also adjacent to Xiaguang Grand Theatre, the largest Chinese cultural construction project since the founding of the country in Shijiazhuang. The property has 84 studio, one and two-bedroom apartments. Facilities include a guest lounge and fitness centre. Citadines Songjiang Shanghai is the first Citadines property in Songjiang, one of the key industrial clusters in Shanghai. The Songjiang Economic and Technological Development Zone is home to more than 1,000 companies, including technology companies such as Giant Interactive, Haier, Flyco and Povos. Multinational companies located in the Zone include Pepsi, SONY, Nestle, Visteon and Fujitec. Songjiang is an important education centre in Shanghai, where more than 100,000 students and teachers live in China’s first university city. The property will offer 160 units of studio, one-bedroom and two-bedroom apartments, and meet the long-stay needs of business clients working for international and domestic companies in the Zone as well as colleges in the proximity. Situated at the South Gate of the famous City Wall, Somerset Yongningmen Xi’an is in the heart of the bustling shopping district. It is only a bus-stop away from the Bell Tower and a 20-minute drive from other attractions such as Shaanxi History Museum and Big Wild Goose Pagoda. It enjoys excellent transportation network with a two-minute walk to the Yongningmen Subway Station, a 25-minute subway ride to Xi’an Railway Station and a one-hour’s drive from Xianyang International Airport. The Somerset property has 174 studios, one- and two-bedroom apartments. It offers facilities such as a swimming pool, gymnasium and children's playroom. Located just a kilometre from the popular Calangute Beach, Citadines Calangute Goa is only a short walk from beach-side restaurants, water sports activities and other recreational facilities. Citadines Calangute Goa will offer 148 apartments, ranging from studio, one-bedroom to two-bedroom units. The property’s facilities include a gymnasium, swimming pool and an all-day restaurant. Citadines Candolim Goa is an 83-unit serviced residence with a contemporary design suited for young, leisure and corporate travellers. Situated near the beach in Candolim, Goa’s popular lifestyle district, Citadines Candolim Goa will offer a choice of studio, one- and two-bedroom apartments, alongside facilities including a gymnasium, swimming pool and restaurants. Citadines Sloterdijk Station Amsterdam will open in March 2019, offering 48 studio and one-bedroom apartments. The property is located in the central business district, close to Amsterdam Sloterdijk Train Station and within a 20-minute drive to Amsterdam Schiphol International Airport. Citadines Malate Manila is in Malate, a historical and financial hotspot of Manila, with the walled city of Intramuros, Rizal Park, Chinatown and the iconic Manila Bay located near the property. The U.S. Embassy, the headquarters of the Philippine Central Bank and the Department of Finance are also in the vicinity. Citadines Malate Manila will offer 150 units, ranging from hotel room, studio, one- to two-bedroom units. It will also have facilities such as a gymnasium, swimming pool and function rooms. Situated in Salcedo Village, Makati City, the single tower serviced residence Citadines Leviste Makati will have 244 units comprising studio, one-bedroom and two-bedroom apartments, equipped with facilities including a pool, gymnasium, laundrette and function rooms. The property is within the central business district, and a stone’s throw from embassies, medical centres and office hubs in the city. Citadines City Center Rayong is conveniently located in the heart of Mueang Rayong Central Business District, along the main Sukhumvit road and opposite HomePro shopping mall. The 230-unit serviced residence will offer studio and one-bedroom units, catering to corporate travellers on short and long stays. The greenfield development is 11 kilometres from Map Ta Phut, Thailand’s largest industrial estate and the world’s eighth-largest petrochemical industrial hub. There will be a swimming pool, gymnasium, launderette and restaurants at the serviced residence. Citadines Maslak Istanbul is strategically located along one of Istanbul’s main business and leisure districts within the new Maslak 1453, one of Europe’s largest lifestyle developments. The serviced residence is about a five-minute walk from the upcoming Maslak 1453 Metro Station due to open this year, and close to multinational corporations such as Ericsson, Cisco and Ford, and educational institutions including Nisantasi University and Istanbul Technical University. Citadines Maslak Istanbul will offer 148 units ranging from studio, one-bedroom to four-bedroom apartments and duplexes as well as facilities including a residents’ lounge and gymnasium. Popular leisure destinations within a 10-minute drive from the property include the mall Istinye Park, which offers more than 200 retail stores and a food bazaar, sports stadium Türk Telecom Arena that houses football club Galatasaray SK, and the Istanbul Sapphire, an integrated development that also offers retail outlets. 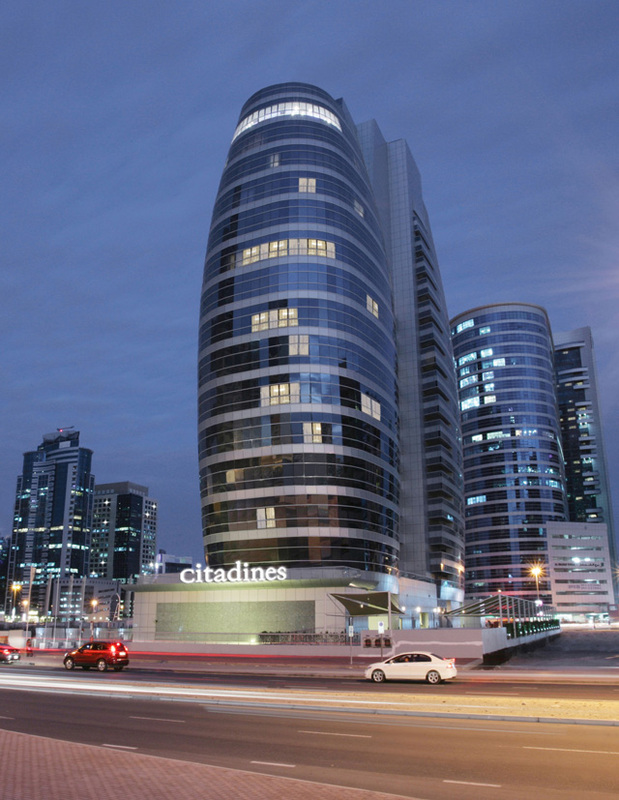 Citadines Nivo Istanbul is located within a 25-floor tower across the Mall of Istanbul, one of the biggest malls in the city. The 150-unit serviced residence comprises one-bedroom units, a residents’ lounge and gymnasium. It is a 10-minute drive from the Istanbul Ataturk International Airport and adjacent to the Faith Metro Station where guests can connect to the new Istanbul airport in less than 30 minutes. The 210-unit Citadines Metro Central Dubai is located in the bustling business district of Barsha Heights. Stretching across 17 floors, the property comprises studio and one-bedroom apartments as well as facilities such as a breakfast lounge, outdoor swimming pool, gymnasium, meeting room and café. The serviced residence is surrounded by multinational corporations, shopping malls, entertainment outlets, as well as business technology parks including Dubai Media City, Dubai Internet City, Dubai Knowledge Park and Dubai Investment Park. It is opposite the Dubai Internet City Metro Station and is an approximate 30-minute drive from the Dubai International Airport. Ascott’s seventh property in the United Kingdom is located in Wembley, home to the iconic Wembley Stadium. Citadines Wembley London is part of a mixed-use development with student housing and commercial space. The property will offer 300 studio apartments. The Wembley area enjoys easy access to the central business district via the Transport for London network. Ascott Centennial Saigon is the first Ascott-branded serviced residence in Vietnam. It will also be one of the first serviced residences in Vietnam to be equipped with smart solutions that allow residents to remotely control electrical appliances in their apartments. Located in District 1, the central business district of Ho Chi Minh City, Ascott Centennial Saigon is nestled within the riverside park where residents get to enjoy a panoramic view of the district, Saigon Botanic Gardens and Saigon River. The serviced residence is also within walking distance to an upcoming metro station that provides convenient access to the rest of the city. Ascott Centennial Saigon will have 205 spacious and fully-furnished one- and two-bedroom apartments that provide top business executives with luxurious living. Residents will have access to a wide range of facilities including a swimming pool, gymnasium, all-day dining restaurant, and a residents’ lounge. The serviced residence is part of a LEED sustainable mixed-use development that houses offices, educational facilities, restaurants, retail and entertainment outlets.